The practice of Shonishin, or pediatric acupuncture has been used for centuries in Japan to treat a whole host of childhood health problems, from behavioral and emotional issues to physical conditions such as allergies and asthma. 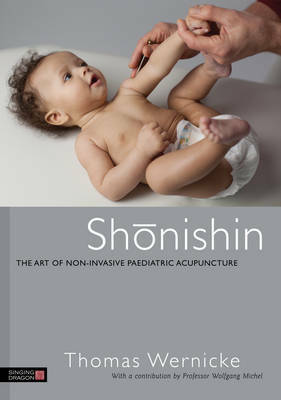 Thomas Wernicke's authoritative book is one of the first resources in English on Shonishin, a non-invasive form of acupuncture developed specifically to respond to the needs of children. With its safe, quick and effective treatments, Shonishin is increasingly catching the attention of therapist’s world-wide. Covering the history, theory and clinical practice, Wernicke explores how Shonishin is used with young children, from babies and toddlers to school age children, to treat a range of behavioural issues and physical conditions such as KISS syndrome, allergies and asthma. He also examines how the techniques can be adapted for use with adults and older people to provide an alternative, non-invasive treatment. With access to downloadable handouts that can be used with patients, and international case studies that demonstrate its effectiveness, his book provides a complete and practical handbook on Shonishin for existing practitioners. Written in an accessible style, it will also be of value to any therapist interested in learning more about the treatment, including practitioners of Chinese and Japanese medicine, traditional acupuncture and shiatsu, craniosacral and occupational therapists, and physiotherapists.